Hey there everyone ~ I'm Animefan, although you can call me Crimson. That's my most common nickname, so yeah. Some people might know me a bit, but I dunno. Since I'm being lazy to type a full intro, I'll just tell some stuff about me. I love to write stuff. I'm working on a novel for this competition, actually (although I think it's not allowed to be posted here, due to violence and gore). And I write and participate in roleplays every single day <3 It's like my life. I love to use BBcode. That's the pretty wording in my sig. 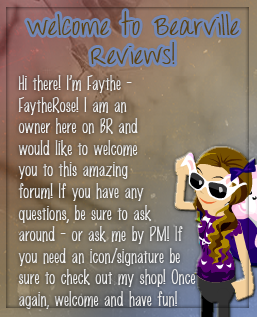 Welcome to Bearville Reviews Crimson! Here, we have so much fun! 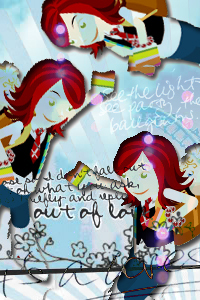 Look for updates coming very soon, and remember to keep posting! Welcome !! I hope you have fun on this forum !